DataHaven is a formal partner of the National Neighborhood Indicators Partnership (NNIP) of the Urban Institute in Washington, DC. NNIP is a collaboration of the Urban Institute and local partners in 35 cities to further the development and use of neighborhood-level information systems for community building and local decision-making. DataHaven's Executive Director, Mark Abraham, was elected to serve a 3-year term with the Partnership's Executive Committee from 2014-2017. The Community Foundation for Greater New Haven has been a core supporter of DataHaven since 1992, supporting and partnering with our organization on a wide variety of our activities and reports, including the Greater New Haven Community Index and 2015 immigration report. The Foundation has also provided funding for our website and free technical assistance programs, as well as in-kind support to host strategic events and community-wide convenings that support our mission. The Foundation has been a lead funding partner of the DataHaven Community Wellbeing Survey in 2012, 2015, and 2018. Fairfield County's Community Foundation is a lead funding partner of the 2016 Fairfield County Community Wellbeing Index and the DataHaven Community Wellbeing Survey, providing generous support for the 2015 and 2018 surveys. Foundation staff have also worked with DataHaven to convene stakeholders throughout Fairfield County around this program, and other topics related to data access and use. DataHaven also has partnered with FCCF to create a report on the status of women and girls in Fairfield County in 2019. The Hartford Foundation for Public Giving is a lead funding partner of the DataHaven Community Wellbeing Survey, providing generous support for the 2015 and 2018 surveys. Staff from the Foundation's community indicators program have provided significant in-kind support to DataHaven by convening stakeholders throughout Connecticut and Greater Hartford around this program. The Foundation is helping to fund a regional report on the Capitol Region, which we plan to model on our Community Wellbeing Index, in 2018-2019. Yale-New Haven Health System, including its affiliated institutions Yale-New Haven Hospital, Bridgeport Hospital, Greenwich Hospital, Lawrence + Memorial Hospital, and Westerly Hospital, are lead funding partners of the statewide DataHaven Community Wellbeing Survey, Greater New Haven Community Index, and Fairfield County Community Wellbeing Index. 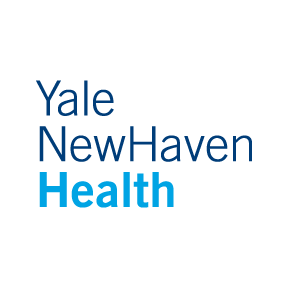 Yale-New Haven Hospital has also provided core operating support to DataHaven and is a 25th Anniversary Presenting Sponsor, and is a key institutional partner of the Greater New Haven Community Index, a report that serves as the Community Health Needs Assessment (CHNA) for that institution as well as a multi-sector community indicators report covering the region as a whole. Bridgeport Hospital has partnered with DataHaven through the Primary Care Action Group, a collaborative coalition of regional health care providers and agencies that is itself a major sponsor of the DataHaven Community Wellbeing Survey. The Valley Community Foundation is a lead funding partner of the DataHaven Community Wellbeing Survey, providing generous support in 2015 and 2018. Since 2014, the Valley Foundation has also worked closely with DataHaven on its Valley Indicators project, a program that has held numerous public events and produced new publications about the well-being of the Lower Naugatuck Valley region. The Foundation was a partner with DataHaven in creating the 2016 Valley Community Index, a major cross-sector report about the region that is in the process of being updated in 2019. The United Way of Greater New Haven has been a core supporter of DataHaven for many years. With support from United Way and other funders, DataHaven's first website was launched in 2003, becoming one of the first of its kind in the United States. The site was created to provide access to information produced as part of the United Way's Greater New Haven Community Compass 2003 indicators project and other regional data. The United Way of Greater New Haven is also a funder of the DataHaven Community Wellbeing Survey and has funded DataHaven's free technical assistance program. The Connecticut Community Foundation is a funder of the DataHaven Community Wellbeing Survey, providing generous support in 2015 and 2018. The Council also was a funder of DataHaven's 2015 report on aging in Connecticut, produced for the World Health Organization. The Foundation has also provided in-kind support by helping to convene local partners throughout the Greater Waterbury area, and funding the Greater Waterbury Wellbeing Profile. The Annie E. Casey Foundation has been a major supporter of DataHaven, providing significant core operating support and project-based support in recent years including 2008 through 2013. A grant from the Foundation supported DataHaven's work on Urban Apartheid, the Greater New Haven NAACP's 2013 report on the state of minority affairs in Greater New Haven. The Foundation is one of several core funders of the Urban Institute's National Neighborhood Indicators Partnership, a group of about 35 local partners including DataHaven that focus on the accessibility and use of neighborhood-level data. The Connecticut Council for Philanthropy has provided in-kind support and funding to support the planning of the DataHaven Community Wellbeing Survey. The Council also was a funder of DataHaven's 2015 report on aging in Connecticut, produced for the World Health Organization. Connecticut Housing Finance Authority has been a major funder of the DataHaven Community Wellbeing Survey. Trinity College, in Hartford, Connecticut, is a funder of the DataHaven Community Wellbeing Survey, providing support in 2015 and 2018. The Ledge Light Health District, which serves towns in Southeastern Connecticut, is a funder of the DataHaven Community Wellbeing Survey, providing support in 2015 and 2018 and helping to convene partners throughout New London County. The Bridgeport Primary Care Action Group is a major funder of the DataHaven Community Wellbeing Survey. The collaborative group consists of Bridgeport Hospital, Saint Vincent's Medical Center, the local health departments of Bridgeport, Stratford, Fairfield, Trumbull, Monroe, and Easton, and other partners. The partnership provided major support for the survey in 2015 and 2018, and supports related initiatives including the Fairfield County Community Wellbeing Index, which serves as a health assessment for hospitals and towns throughout the region. Stamford Hospital is a lead funding partner of the DataHaven Community Wellbeing Survey, providing generous support in 2015 and 2018. It is also a major funder of the Fairfield County Community Wellbeing Index. Griffin Hospital is a funder of the DataHaven Community Wellbeing Survey, and a key partner of DataHaven in several other initiatives currently underway in the Lower Naugatuck Valley region including the Valley Community Index. The Community Foundation of Eastern Connecticut is a funder of the DataHaven Community Wellbeing Survey. In 2018, the Foundation also partnered with DataHaven to produce a comprehensive report on the status of women and girls. Saint Francis Hospital and Medical Center is a funder of the DataHaven Community Wellbeing Survey, related neighborhood data initatives in Hartford, and the forthcoming Greater Hartford indicators report. The New Haven Health Department is a significant funder of the DataHaven Community Wellbeing Survey in 2015 and 2018. Since 2007, DataHaven has partnered with the Health Department on several other reports about the health status of New Haven and the region. Connecticut Health Foundation is a funder of the DataHaven Community Wellbeing Survey, providing generous support in 2015 and 2018. The Foundation has also provided support to DataHaven to enable it to create a comprehensive health equity report in 2019. The Community Foundation of Greater New Britain has been a major funder of the DataHaven Community Wellbeing Survey. United Way of Coastal Fairfield County is a funder of the DataHaven Community Wellbeing Survey, providing significant support in 2015 and 2018 to enable additional sampling in Norwalk and Bridgeport. Danbury Hospital is a lead funding partner of the DataHaven Community Wellbeing Survey and the Fairfield County Community Wellbeing Index from 2015 through 2019. Saint Mary's Hospital in Waterbury is a funder of the DataHaven Community Wellbeing Survey. Waterbury Hospital is a funder of the DataHaven Community Wellbeing Survey. The Institution for Social and Policy Studies at Yale University was the original home of and a key funder of DataHaven, before we registered as an independent 501(c)3 non-profit in 2000. Today, ISPS remains a key scientific partner of DataHaven, with faculty providing in-kind support and guidance. The Community Alliance for Research and Engagement (CARE) at Yale University's School of Public Health is a scientific partner of DataHaven. CARE has provided funding and in-kind support for various DataHaven reports on public health in New Haven. Main Street Community Foundation is a funder of the DataHaven Community Wellbeing Survey in 2015 and 2018. Middlesex Hospital is a funder of the DataHaven Community Wellbeing Survey in 2015 and 2018. Norwalk Hospital is a lead funding partner of the DataHaven Community Wellbeing Survey and Fairfield County Community Wellbeing Index from 2015 through 2019. The Waterbury Bridge to Success Community Partnership is a funder of the DataHaven Community Wellbeing Survey. 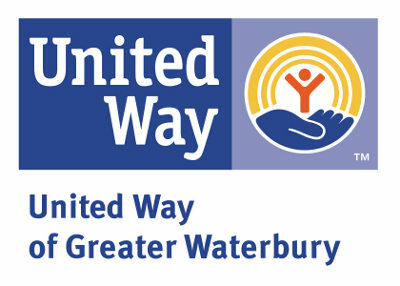 The United Way of Greater Waterbury is a funder of the DataHaven Community Wellbeing Survey. The Uncas Health District is a funder of the DataHaven Community Wellbeing Survey. Uncas Health District serves as the local health department for nine communities in Eastern Connecticut. United Community & Family Services (UCFS) is a non-profit Community Health Center in Norwich, Connecticut. UCFS is a funder of the DataHaven Community Wellbeing Survey. Thames Valley Council for Community Action (TVCCA) is a private, non-profit Community Action Agency serving the New London and Norwich areas of Connecticut. TVCCA is a funder of the DataHaven Community Wellbeing Survey. Norwalk Health Department is a funder of the DataHaven Community Wellbeing Survey in 2015 and 2018. The mission of the Norwalk Health Department is to prevent and control the spread of disease, promote a healthy environment, and protect the quality of life within our changing community. The Northeast District Department of Health is a funder of the DataHaven Community Wellbeing Survey in 2015 and 2018. NDDH has been preventing illness, promoting wellness and protecting public health in northeast Connecticut since 1973. NDDH has also helped convene other funding partners in Northeastern Connecticut. The NewAlliance Foundation has provided general operating support to DataHaven for several years, helping us conduct a variety of programs. Please see our 25th Anniversary Report for more information about funders and our recent programs.